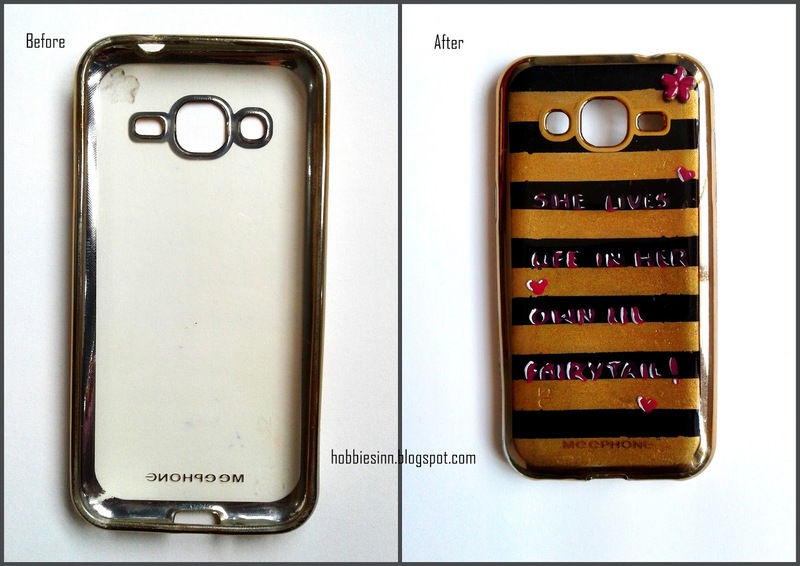 Up-cycle an old phone case. Smart phones. Trendy covers. Glitter and holo. That's what we want! If a smart phone is expensive so is its cover. We don't need to be some artists to make one cute trendy Phone case. 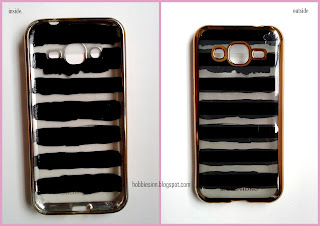 Hence, we tried a simple Diy to upgrade a cheap, transparent plastic Phone cover into a little glitter. Its cute, useful and we can make many of them with variety of designs and colors and change them often. Black nail paint of acrylic color. 1. Since my tape was a bit thicker in width I cut it into half using a paper cutter So that my stripes are thinner. 2. 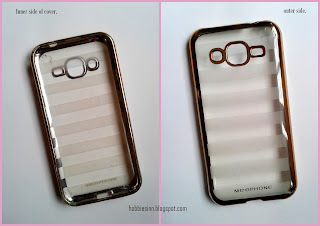 Paste them at equal lengths from inside of the phone cover. 3. 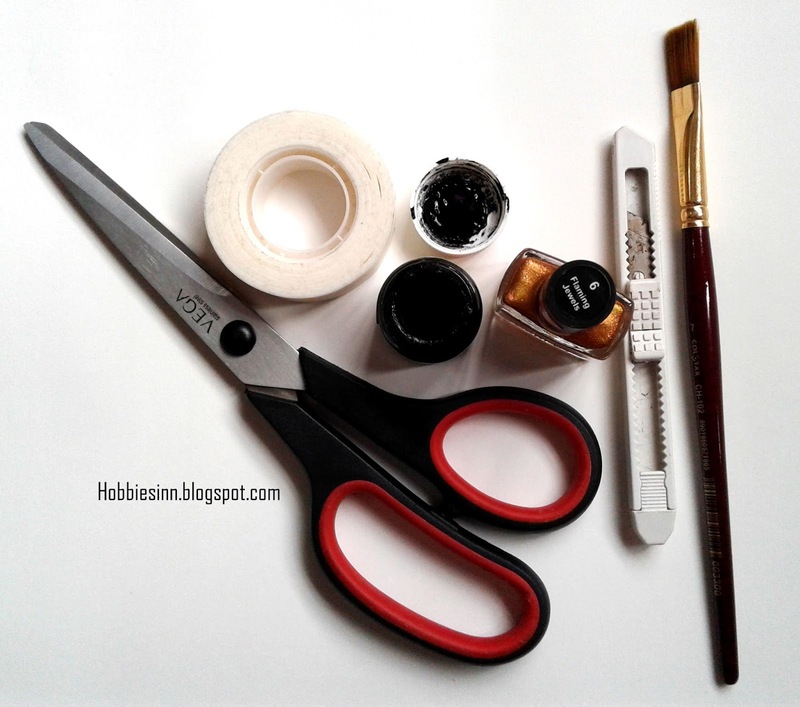 Take some black acrylic paint or nail polish and apply in the spaces left out. 5. Pull the tape off and fill the spaces with the golden nail paint. 5. You can adorn it with pearls, and beads. 6. 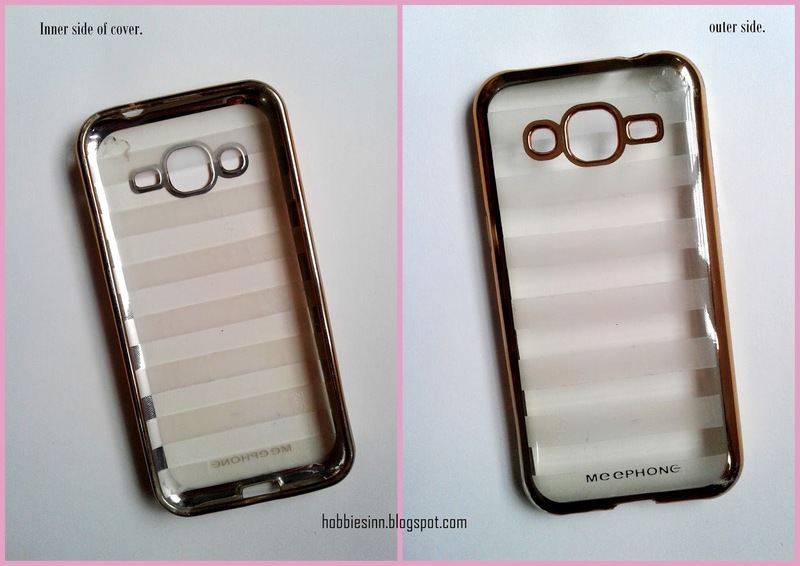 Put a piece of paper on the inside of the Phone case. 7. Put it on your phone. 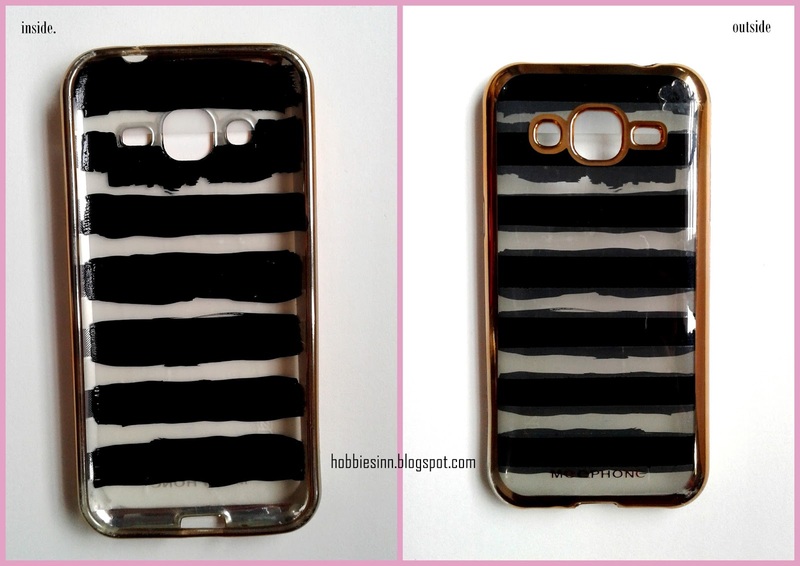 You can try variety of designs and colors to beautify that silly looking case using nail paints. Who doesn't want a trendy cowl to flaunt during the best time of the year. And what if you get it cheaply without spending lots of bucks on ready made products. Plus it can form an adorable gift for someone you love. With all this in mind we have made awesome and cozy cowl DIY pattern anyone can do. You don't have to be a master crocheter to do this. This is super easy and unisex till you add that rose to it. Round 2. Make 115 double crochets over this chain. Round 3 to 24: Double crochet over and over again. 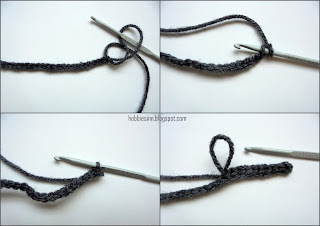 Stitch the two ends of your crochet patch together. you can use yarn for that or a needle and thread. There you go. its unisex and simple. It is made from grey yarn. This tutorial will help you make one. Round 2: Slip stitch over each stitch. Affix the rose on the cowl and draw the string through the holes of the double crochet made. Wear it and flaunt it. If you like this pattern-Follow and share. 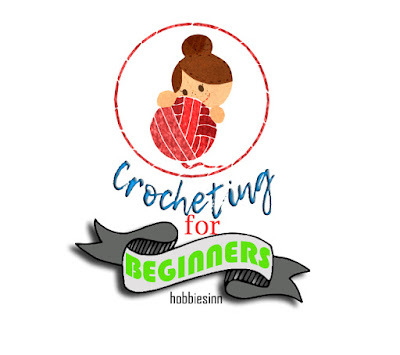 A fantastic way to adorn your crocheted clothing or even amigurumi projects. 2. In Sixth chain from the hook double crochet. 4. Skip two stitches of the underlying chain and double crochet in the 3rd one. 6. Double crochet in the next stitch. 7. Repeat steps 3 to 6 for the whole length of the chain. 2. 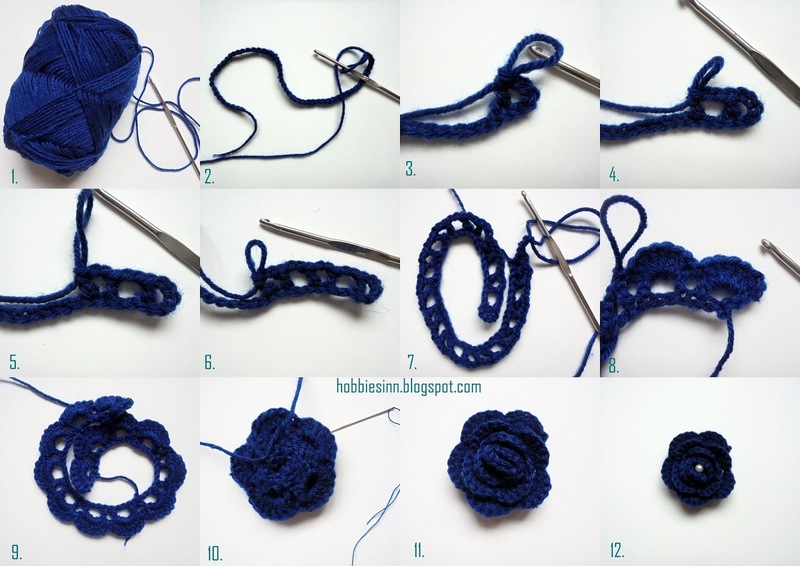 5 double crochet stitches in first chain-2 space. 3. 1 slip stitch in next chain-2 space. 4. 6 double crochet stitches in next chain-2 space. 5. 1 slip stitch in next chain-2 space. 6. Repeat steps 4 and 5 for the whole length of layer 1. That's how your petals are made. You should end with a slip stitch in the last chain-2 space. Finish off and cut out the yarn. A step wise picture collage for reference. 1. Start rolling at the base of the petals. Carefully and slowly. 2. Take your tapestry needle and thread and start weaving at the bottom to secure the rose. 1.Beginning with the first petal, roll the petals and sew as you go. 2. tie off the bottom of the rose. You can adorn it with the pearl beads if you want to.